Camp Phillips has been serving Scouts and Leaders from across the nation for over 60 years. 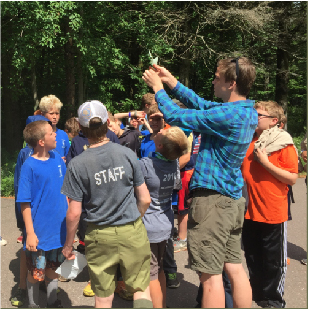 Whether you are a Scout attending Camp Phillips or a Scout Leader, our facilities and staff are sure to accommodate all of your needs. 1,400 acres in northwestern Wisconsin with several private lakes. There's something here for everybody. 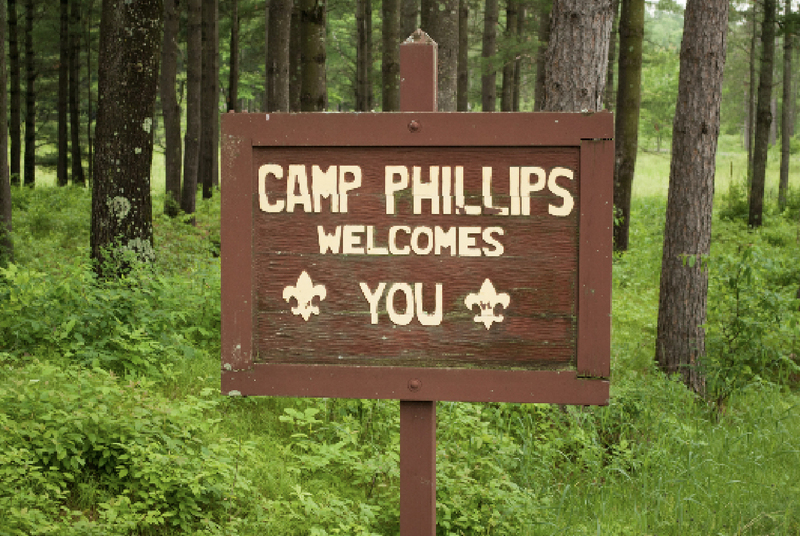 What will your Camp Phillips adventure be? The Scouting program provides many opportunities for Scouts to learn new skills and take part in terrific adventures. From C.O.P.E. and climbing to aquatics and boating, your camp experience will definitely be one you will never forget! Take a look at the following pages for more information about each area. C.O.P.E. & CLIMBING The L.E. Phillips Scout Reservation C.O.P.E./Climbing Program gives Scouts the opportunity to push their limits like no other program. Whether you are zipping down the 500-foot zip line or 30 feet off of the ground on the High C.O.P.E. 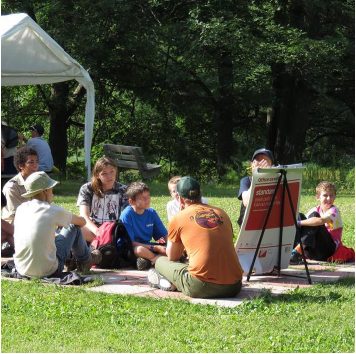 Course, Camp Phillips provides a safe program for Scouts. SHOOTING SPORTS Whether you are a beginner or a sharp shooter, you will have fun while receiving professional training, supervision, and marksmanship development at Shooting Sports. 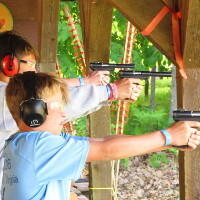 Programs include Rifle Merit Badge, Shotgun Merit Badge, Archery Merit Badge, and Pistol. Additional opportunities to spend time at Shooting Sports include: Open Archery, Open Rifle, and Open Shotgun. 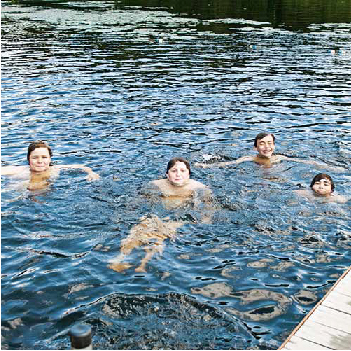 AQUATICS The waterfront at Camp Phillips consists of three areas: Bear Lake, Round Lake Waterfront, and The Marina. Having these three areas makes our aquatics program one of the best around. Merit badges are taught at all three areas. Open swim is available during free time on Wednesday. Open sailing is available at Bear Lake during free time every day; come out and sail a sunfish or our day sailor. 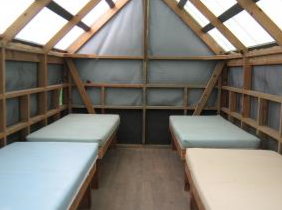 OUTDOOR SKILLS From basic Scout skills to the most advanced, Outdoor Skills is the area to go. Outdoor Skills is the place for learning new skills, to fine tuning the most advanced Scouting abilities. If you have questions about Pioneering, Camping, Wilderness Survival, Fishing, Fly Fishing, or a variety of other merit badges, come down and ask. ECOLOGY & CONSERVATION This area is the best place for Scouts to become familiar with the natural world. 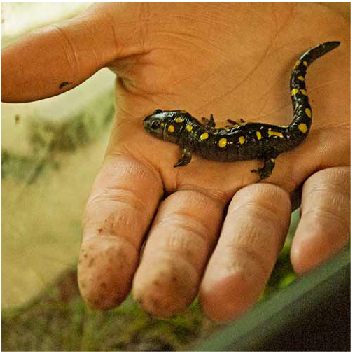 Many programs include observing and documenting experiences one has in nature. FIRST YEAR CAMPER First Year Camper at Camp Phillips gives Scouts a great introduction to the scouting program. Scouts learn basic scouting skills while completing requirements for Tenderfoot, Second and First Class ranks. HANDICRAFT Handicraft offers a variety of merit badges to interest the most creative Scouts, with classic merit badges such as Basketry and Woodcarving, to more unique options including Cinematography and Space Exploration. 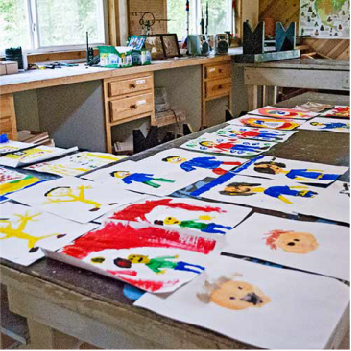 Stop in for a fun, free-time activity or just to check out all there is to make in Handicraft! CIVICS In the Civics program area, Scouts are exposed to the world around them. Merit Badges include game design and crime prevention. Youth experience information on careers and their nation. Reserve your campsite by completing the 2018 Site Reservation Form and submitting a $110 deposit that will be applied toward your camp fees. Full fees are due by May 1st to receive the $10.00 Early Bird Discount. Please submit the Camp Phillips Final Payment Form with your payment. Campers registered after May 1st will not be eligible for the Early Bird Discount. All fees must be paid in full by June 1st. Troops are strongly encouraged to bring a few extra tents for overflow. Paved roads and parking lots provide easier travel between campsites, program areas and dining hall. There are ample fishing opportunities from rowboats, fishing docks, or from shore. 6:05 p.m. - Flag retreat at the flagpole. Host and waiter to the Dining Hall. 7:00 p.m. - Merit Badge Fair for those who need to make changes or additions. Staff will be available for program planning. 8:30 p.m. - Camp wide opening camp show. Following the camp show is Taps. Leaders should ensure that all Scouts are in their campsite for the remainder of the night. 7:30-8:30 p.m. - Open programming opportunities for both leaders and adults. A mix of areas and activities will be open and running, ensuring Scouts have something to do! 9:00 p.m. - Order of the Arrow Ice Cream Social, where anyone in the OA can come up to the Dining Hall and enjoy ice cream and fellowship with other Arrowmen who are at camp. 7:30 p.m. - Overnight adventures for the Scouts. 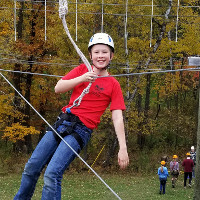 From our Phillips Explorers Program, to our FYC and Outdoor Skills areas hosting overnights, there are plenty of things to do that evening for Scouts. 9:00 p.m. – We offer an OA Brotherhood ceremony for anyone in the Otyokwa Lodge on Wednesday nights. We will have more specifics on times to meet and learn the appropriate information during the camp week, so stay tuned! 7:15-8:30 p.m. – Camp-wide games happen Thursday night and it's one of the highlights of the week. From soccer, to ultimate Frisbee, to games designed by some of the Scouts in Game Design merit badge, this is one of the most active nights of camp. Bring your tennis shoes and get ready to play! 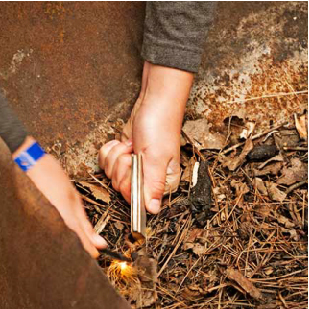 8:45 p.m. – The SPL Campfire takes place in the Amphitheater. Troops can volunteer to put on skits for the whole camp and a great time is had by all! 7:00 p.m. – Blue card and paperwork packet pickup in Administration Building. 7:30 p.m. – We offer an Awards Show on Friday night to recognize the accomplishments, special opportunities, and achievements of Scouts throughout the week. We also take time to recognize each troop that came up and spent the week here at Camp Phillips. 8:00 p.m. – A Scout is reverent. At 8:00 p.m. we take the time to recognize our duty to God by holding a chapel service in our beautiful chapel overlooking Mitchell Lake. Spend some time reflecting on the beauty around us here at Camp Phillips. 8:30 p.m. – Our Order of the Arrow ceremony is top notch and begins with a torch-lit paddle across Mitchell Lake. From there we proceed to the Call-Out Bowl to witness those individuals who are being called out for the Order of the Arrow. A committee of volunteers oversees Camp Phillips and advocates for customer satisfaction, food service, shooting sports, aquatics, C.O.P.E., outdoor skills, ecology and advancement. Contact the Chippewa Valley Council Service Center at 715-832-6671 if you would like to be in contact with the Camping Committee Chair or other volunteer advocates. Collect payment from each Scout to deposit in Troop account for final payment. Continue to collect advancement information from youth and leader training from adults. Hold a pre-camp parent meeting. Submit Final Roster and Final Payment by May 1st to receive Early Bird Discount. Send out final notices to all parents and Scouts including a list of what to bring. Encourage youth who are not attending camp with your unit to attend, either with another unit or with a Provisional Unit another week. Work with each Scout in planning an advancement schedule and getting them started on the pre-camp work listed. Ensure that all Scouts and leaders will have their medical forms completed before coming to camp. Complete special dietary request for all Scouts requiring special meals. Follow up on any Scout not registered to attend camp. Those who missed the early bird discount will need to pay the full price. Just add them to your roster. Collect all medical forms. Please keep a copy for the Troop records. The medical forms that are turned in at camp will remain at camp after you depart. Check up on each Scout's pre-camp advancement work. Hold an inspection of personal packs and equipment. Also prepare unit equipment for camp. Complete the final check on transportation to ensure everyone has a ride to and from camp. Invite Parents for the Friday Night Chicken Dinner which will be served at 6:00 p.m. Thank you to all adult leaders that are able to stay at camp for any portion of your troop's time at Camp Phillips. Scout Leaders provide direct leadership to scouts in the campsite and elsewhere throughout the week. We also may call on the help of adult leaders to provide their wisdom during teaching sessions. Below are a few of the opportunities that are available to leaders throughout the week. ALL ADULTS ATTENDING CAMP MUST BE A REGISTERED MEMBER OF THE BSA.